Growing plants and trees on your property can be fulfilling. They can accentuate the beauty of your home, providing more life and color while also increasing property value. Unfortunately, landscape work isn’t as easy as burying seeds wherever you want and waiting for things to grow. It will take considerable planning to ensure you get the desired results. The top landscaper in Oklahoma City, OK, Sherwood Gardens, shares some of the essentials you need to consider in landscape design. 1. Plant Selection. One of the basics is choosing the right type of plants. Those that are native to your region will be easier to grow on your property. They’ll thrive without requiring constant maintenance. However, it’s not impossible for those that aren’t native to your area to thrive, as well. The only downside is you’ll have to monitor them closely. 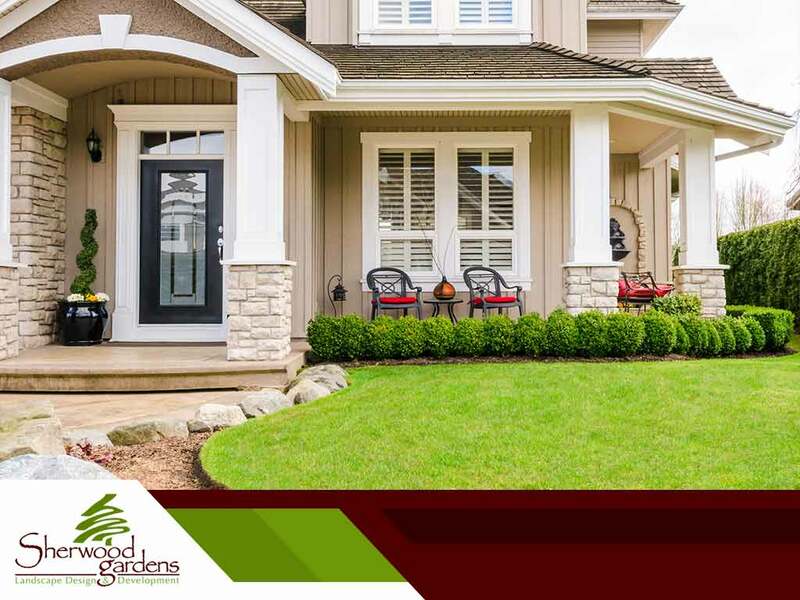 Talk to your local landscaping company, Sherwood Gardens, about suitable options for your property. 2. Placement. Plant life is important to any landscape, but shouldn’t be placed without forethought. This is especially crucial when growing trees. Sometimes, homeowners underestimate how large they can grow. You shouldn’t grow trees too close to your home because, once grown, their roots can disrupt the foundation and cause damage. If you’re planning on having trees on your property, it pays to consult an expert in landscaping like us. 3. Functionality. Take a look at the greenery in your backyard. It may look pretty, but it’s not a good idea to just let things run wild. How about adding more to your landscape instead of just plants, shrubs or flowers? Sherwood Gardens can help you with this. If you have space available in your backyard, you should consider having us install a durable, good-looking deck with an outdoor kitchen. This helps extend your living space and provide a spot for fun and relaxation with friends and family. 4. Maintenance. Make sure to incorporate into your landscape design the amount of maintenance required. There’s no such thing as zero maintenance, after all. If you don’t have the time, you might want to go for a simpler design. However, if your heart is calling for something more extravagant, then consult a capable landscaper like Sherwood Gardens who can take care of your needs. Sherwood Gardens can handle all your landscaping needs with our high-quality products and professional team. We serve Oklahoma City, OK, and surrounding areas. Call us today at (405) 478-4600 or fill out this form to schedule your consultation.